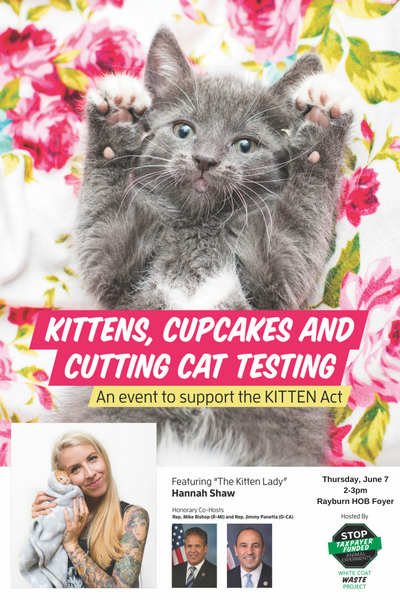 Yesterday, White Coat Waste Project hosted a Capitol Hill briefing featuring world-famous kitten advocate Hannah Shaw (The Kitten Lady) to build even more Congressional support for the bipartisan KITTEN Act to end deadly taxpayer-funded kitten experiments at the U.S. Department of Agriculture. 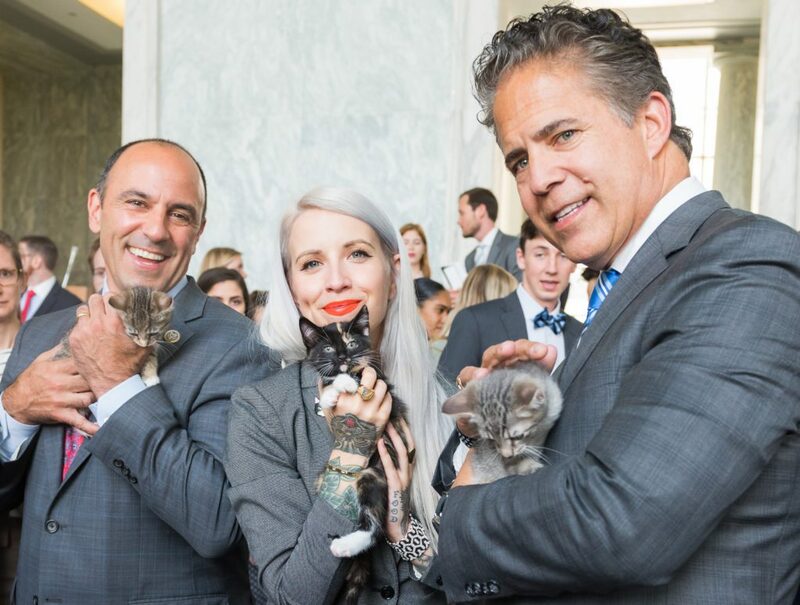 The event was co-hosted by Reps. Mike Bishop (R-MI) and Jimmy Panetta (D-CA), who introduced the KITTEN Act last month. 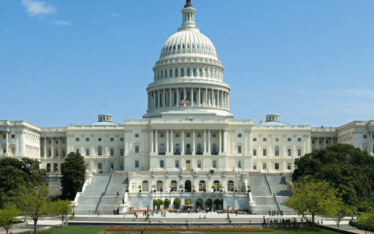 As reported by Roll Call, the Detroit News, Washington, D.C.’s ABC affiliate WJLA, and POLITICO, over 300 lawmakers, Congressional staffers, and reporters attended the event to learn more about WCW and the KITTEN Act. 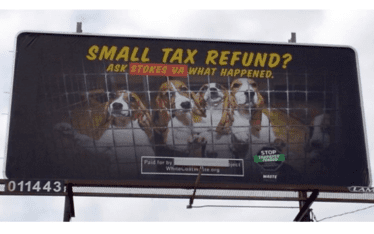 Shaw brought three 8-week-old kittens–Anya, Leeni and Rizzo–with her to serve as feline ambassadors and let Congress know the true cost of the government’s wasteful kitten experiments. The kittens being experimented on by the USDA—as Shaw explains in this viral video–are the exact same age as these tiny kittens when they are senselessly killed by the government. 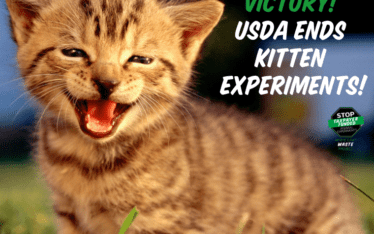 Tell Congress to pass the bipartisan KITTEN Act to permanently defund these deadly taxpayer-funded experiments, and urge USDA to adopt out the cats! I am 100% against all testing on animals, but innocent kittens- this is a all time low! Useless, cruel and wrong on every level! Stop it now! No living creatures should be tortured or tested on! End kitten/ cat testing today. Animal testing is evil and wrong. It’s disgusting, in humane, and should never be done. Unnecessary to test on living animals….so cruel!! !